Perhaps more than any other watercolor preparatory for The Birds of America, this sheet helps us to understand the level of planning that Audubon put into his tableaux. The sheet is really a layout for Havell to follow in constructing the final engraved copperplate composition (Figure 1). In his watercolor, JJA painted only two of the seven birds that he indicated for the engraving, no doubt supplying the others to Havell on separate sheets which have not survived. 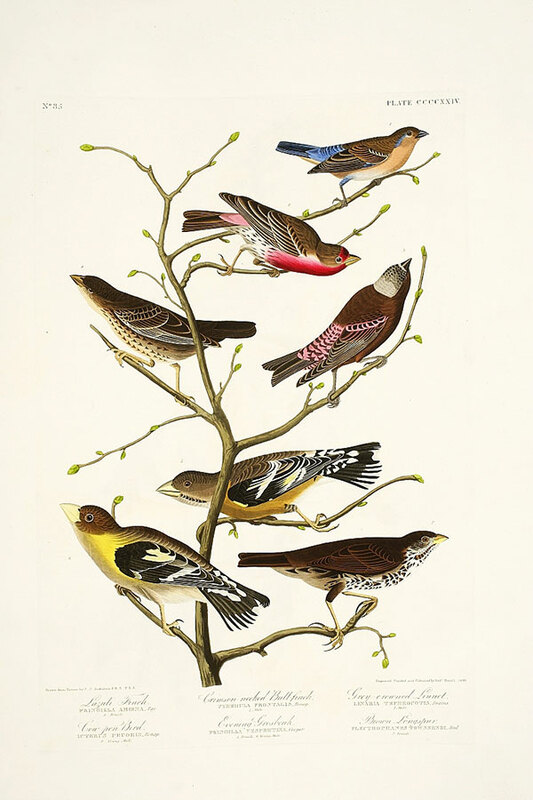 Audubon portrayed the bird crowning the page―a male House Finch—from a specimen lent to him by John Gould (1804–1881), the British ornithologist. 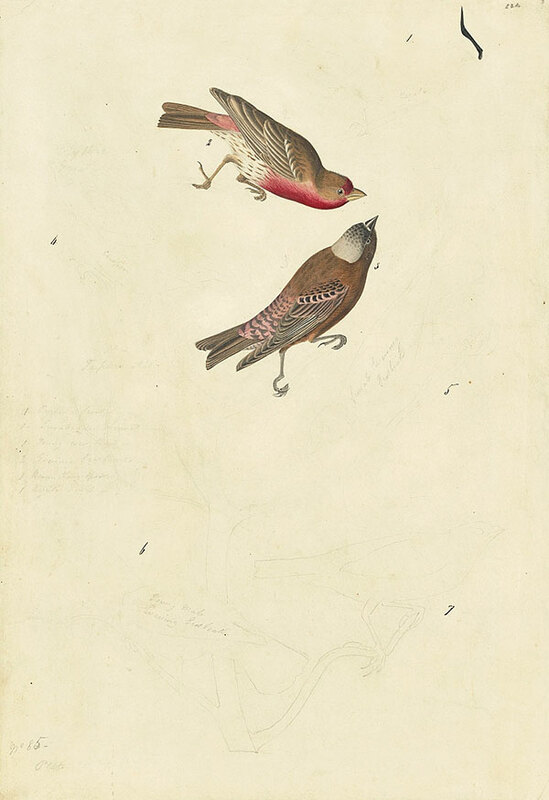 Its companion, a Gray-crowned Rosy-Finch, had been collected by the Scottish naturalist John Richardson (1787–1865) during an Arctic expedition. In the engraving, Havell, on JJA’s instructions, lowered and centered the bird numbered “5” in brown ink.